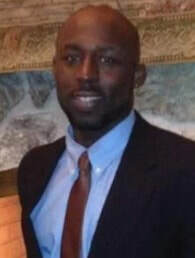 Shaaron Sinvilcin - STEER FOR STUDENT ATHLETES INC.
Shaaron Sinvilcin was born and raised in Port Chester, New York. He attended JFK Elementary School and PCMS and then went on to Trinity Catholic High School on a academic/athletic basketball scholarship. He played basketball and was a four-year Varsity starter for Trinity Catholic HS. Shaaron won two state championships and was a two-time all state player and four time all conference player. Shaaron continued his basketball career as he received a athletic scholarship to Central Connecticut State University. He team played in the NCAA tournament twice. Shaaron returned to the Port Chester community after graduating from college to work with children in the school system. He completed his Masters of Counseling Degree from Mercy College and then completed his internships at PCMS and PCHS. Shaaron also coached youth in basketball in the Westchester County and Fairfield County area. During this time Shaaron was also the JV Basketball Coach at PCHS. Just recently, Shaaron just completed a second Masters Degree in School Administration from the University of Bridgeport. He currently is the Varsity Basketball coach at Port Chester High School. His full time job is a School Counselor at Hawthorne Cedar Knolls Sr/Jr High School. Shaaron is a proud husband and father of four boys.